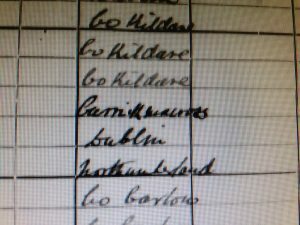 Reading Molly Keane’s brilliant book Good Behaviour last week, I wanted to find her, age 6, on the 1911 census. Born Mary Nesta Skrine in 1904, she wrote several novels and plays, but Good Behaviour, nominated for a Booker prize, is by far the best known. She was in her 70s when it was published. It’s a lovely and accurate portrayal of the decline of the Irish gentry, a quiet and moving novel, written in the first person by a character who it would be impossible not to love. There she is in 1911, one of only seven people in the country with the surname Skrine. They are all the same family, parents and five children. Also in the house, and testament to the fact that the family is of the gentry, are two nursemaids, a governess, a cook, a parlourmaid and a groom. 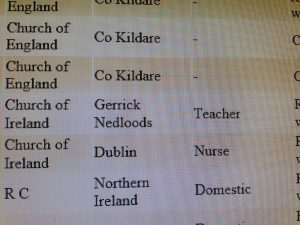 On the transcription, the birthplace of the governess stands out: Gerrick Nedloods. 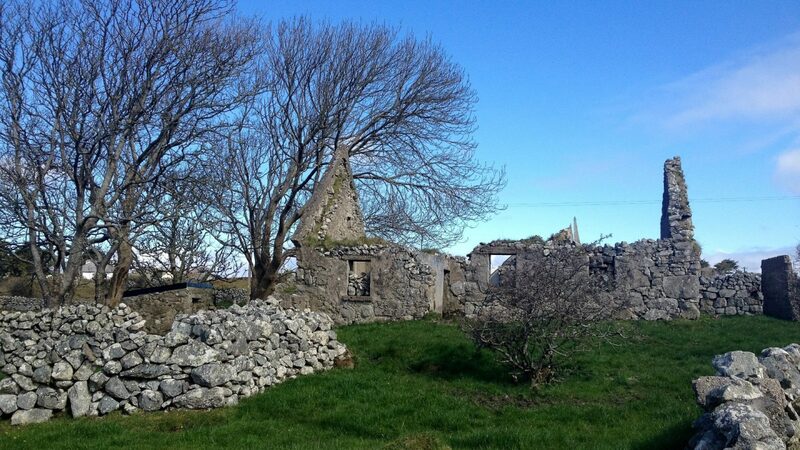 ….clearly and definitely Carrickmacross, to a trained Irish eye. Many transcriptions are done “offshore”, and so it’s no wonder that now and again we find a Gerrick Nedloods. A transcriber’s job is to write what he or she sees. I don’t envy them the work, having several times needed paracetemol after a couple of hours deciphering the faded and spidery handwriting of some early nineteenth-century parish priest in a church ledger. And I understand how Carrickmacross becomes Gerrick Nedloods. I can see how Ellen Regan was first entered as a visitor, but it’s clear that the head of household (my grandfather) changed his mind, decided to do things properly, and did his best to erase the word “visitor” and write “aunt” over it. It’s a little ambiguous, but a good transcriber would have decided on “aunt”, and the importance to a genealogist is huge; by identifying Ellen Regan as an aunt of Michael Keohane, a whole branch of the previous generation opens up.